Critically-acclaimed historical fiction writer David Ebsworth has launched the Spanish version of his sixth novel, Until the Curtain Falls, in Alicante. He talks about the translation process, distribution in the Spanish-speaking world and why this particular launch was unlike any other. The end of a long road! A packed lecture theatre in Alicante hosts the official launch for Hasta Que Caiga el Telón - a fast-paced thriller set during the Spanish Civil War. More than just a launch, this is an opportunity for the 90-strong audience to pay tribute to our old friend Chamorro, at whose insistence we first ventured down the path towards Spanish translation and distribution. Tragically, he passed away before he could read the final edition. So it’s not quite like any launch event I’ve ever done before. There’s music, folk musicians, performing anthems of the Spanish Republic from during the conflict. Then there’s well-known journalist and author, Mariano Sánchez Soler, presenting a "live" review of the book from the platform. His words touch me deeply and I wish I’d had the wit (or nerve!) to record them. Next, my own presentation - mostly thanks to all those involved in the production of Hasta Que Caiga el Telón, including the long-suffering team at SilverWood. Finally, there are the book sales and signings, organised with the help of Spanish distributor Martín Fierro Libros. Yes, a book distributor. I can’t be the only indie author who’s just about given up trying to get my novels onto UK bookshop shelves, settling instead mainly for online sales. But I was advised early in the process that the situation in Spain, and elsewhere the Spanish-speaking world, is very different. 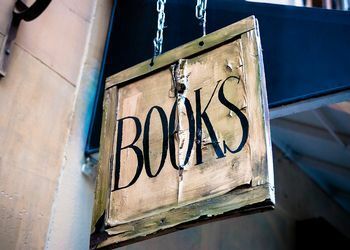 First, there are virtually no bookshop chains in Spain and the trend is still for almost every town - large or small - to have at least a couple of flourishing independent bookshops. Alicante has ten independent bookshops. Barcelona and Madrid have upwards of fifty each. These bookshops are serviced by distributors in their respective regions, and there are several in the Alicante Province alone. It was pure serendipity that made me contact Martín Fierro Libros first. But they readily offered me a decent deal and I arranged for SilverWood to send an initial supply out to them. Then I drafted flyers plus a short covering message and blasted these off by e-mail to a hundred random Spanish bookshops. Within a week, a dozen shops had ordered a small stock of Hasta Que Caiga el Telón from the distributor and, so far, they seem to be selling reasonably well. Meanwhile, the SilverWood team have also made the novel available through the main online Spanish language outlets - Amazon.es, iBooks and Google Play. Ideally, have at least a working knowledge of the language(s) into which you want to be translated. Search for somebody with experience as a literary translator who, most importantly, can also edit your foreign edition - and ask for evidence of their experience, maybe looking at examples from their portfolio, or having them work on a sample chapter. Remember that you only get what you pay for and translation/editing services are expensive but you may be able to find somebody willing to work for a basic fee plus, for example, a 50-50 split on the foreign language royalties, or similar deal. Shop around. Make sure you have highly trusted beta readers in the language of choice (in this case Spaniards) who can honestly confirm that the text reads like a book written originally in their language rather than one that sounds like it’s been translated. Make sure you only shortlist those translators who’ve taken the trouble to read your book, become familiar with your characters and, ideally, have asked you some searching questions about the translation process. The final stage is very much like your English proofreading - over and over again until it’s as good as it can possibly be. After all, now your reputation is under worldwide scrutiny and nobody reading a badly translated book is ever going to blame the translator. Scary! So there, the end of a long road. Or maybe just the start of a further one. Find out more about David Ebsworth and his novels on his website and connect with him on Twitter. Pick up a copy of Until the Curtain Falls here.